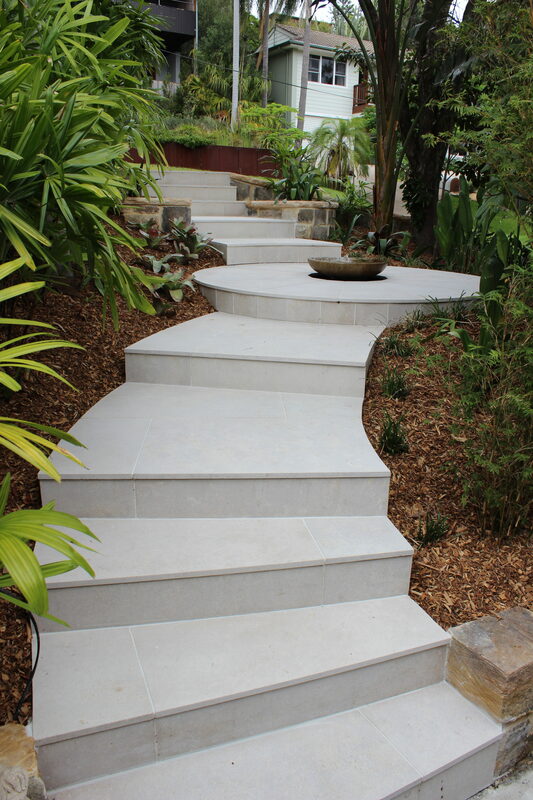 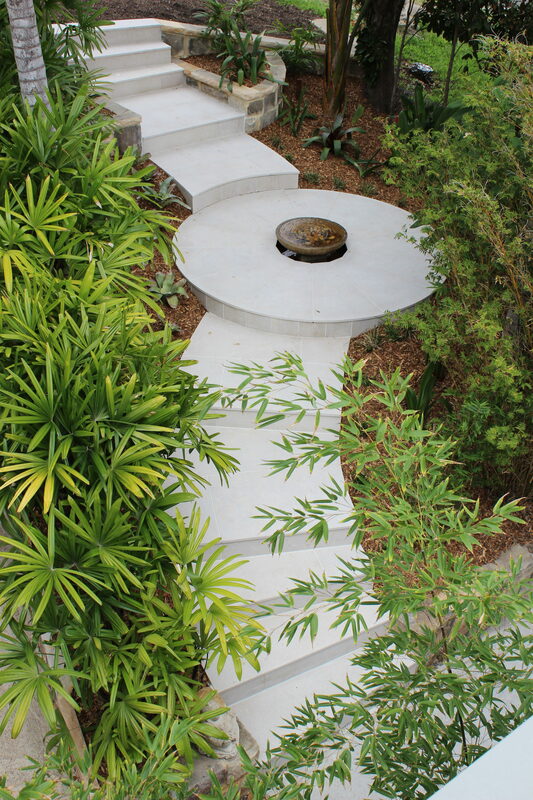 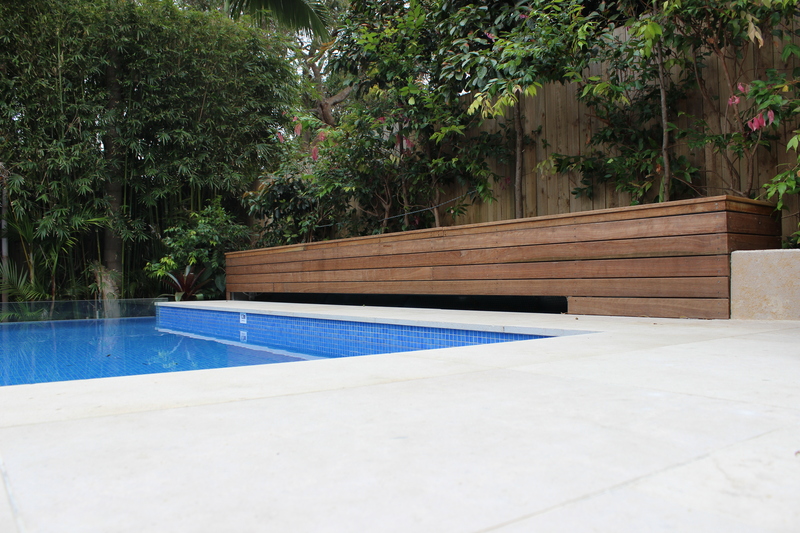 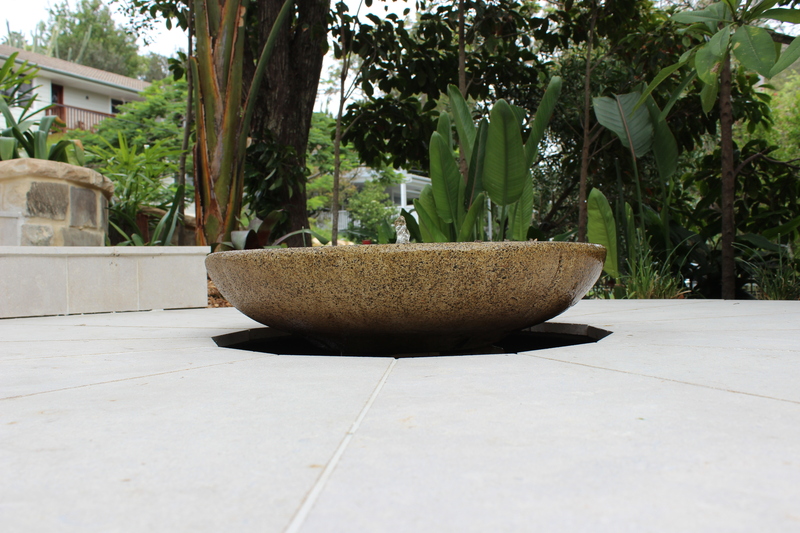 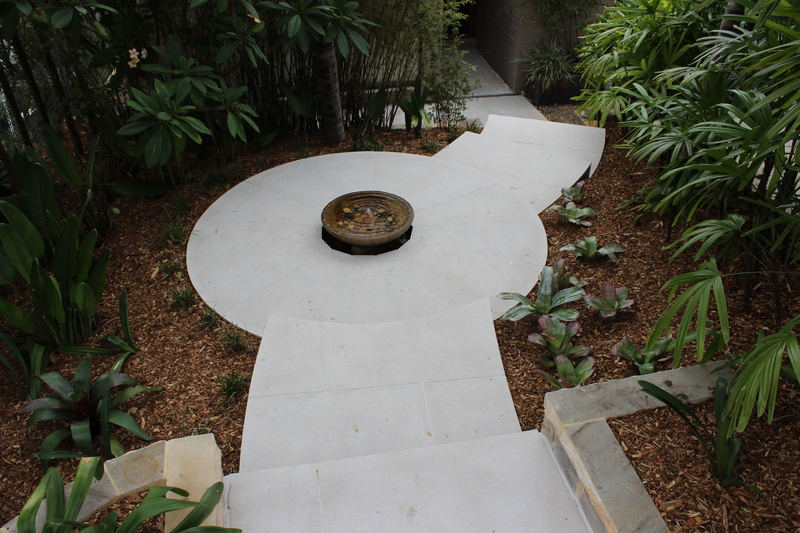 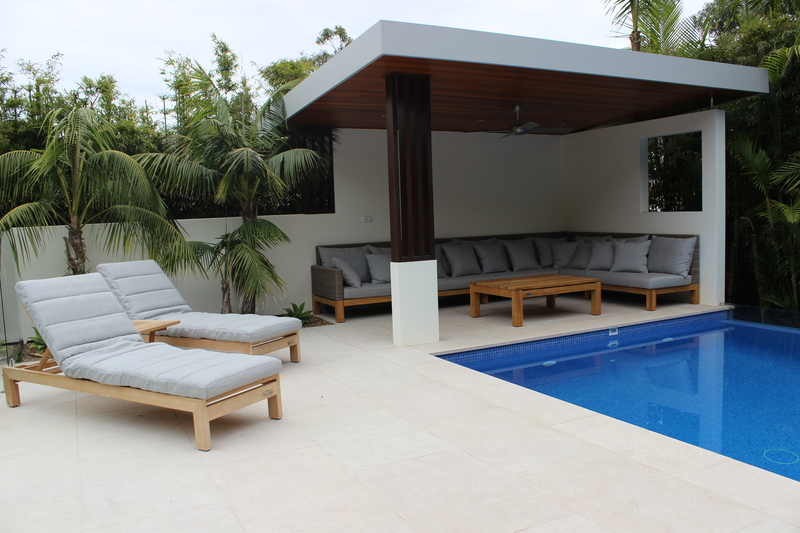 Sandblasted limestone steps with feature circular platform incorporating a central zen bowl water feature leading to main entry with tropical planting backdrop. 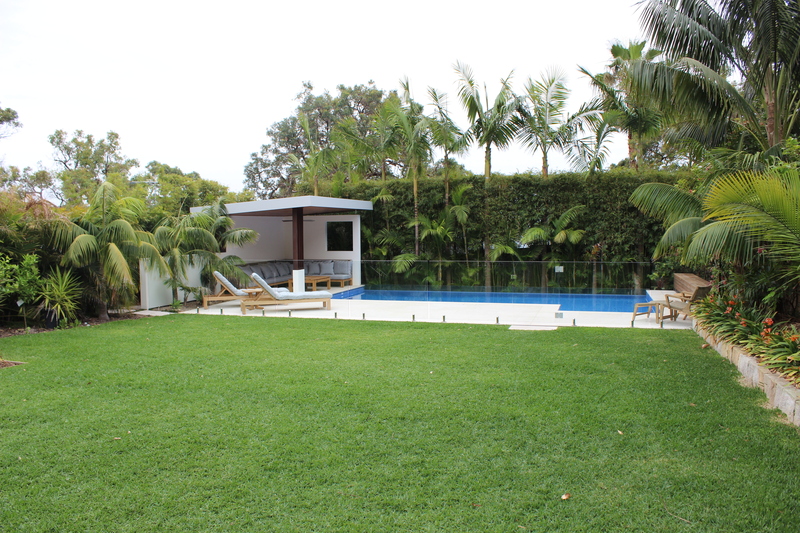 Pool designed and created by EL, utilizing whole back yard with pool to the back of the block with a luscious green lawn for the children to play before cooling off. 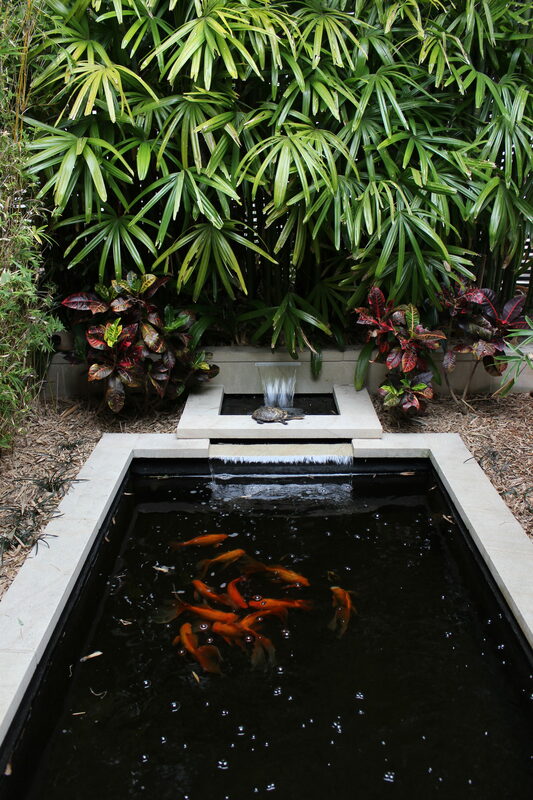 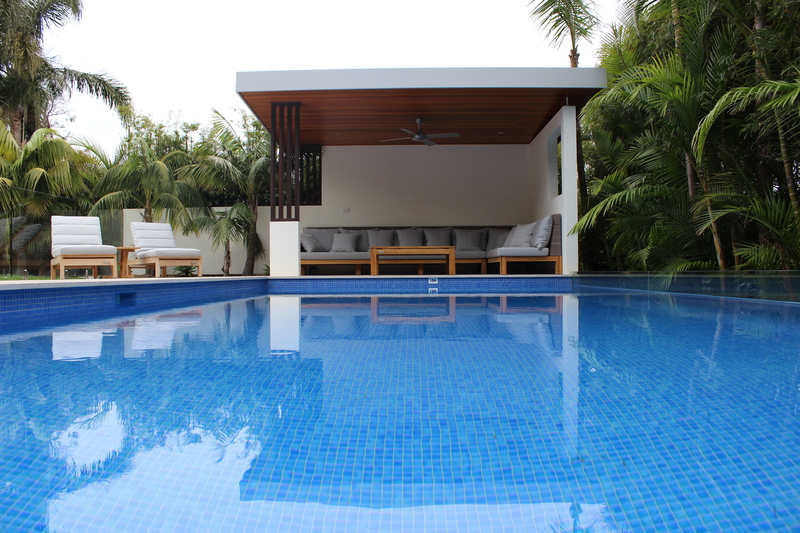 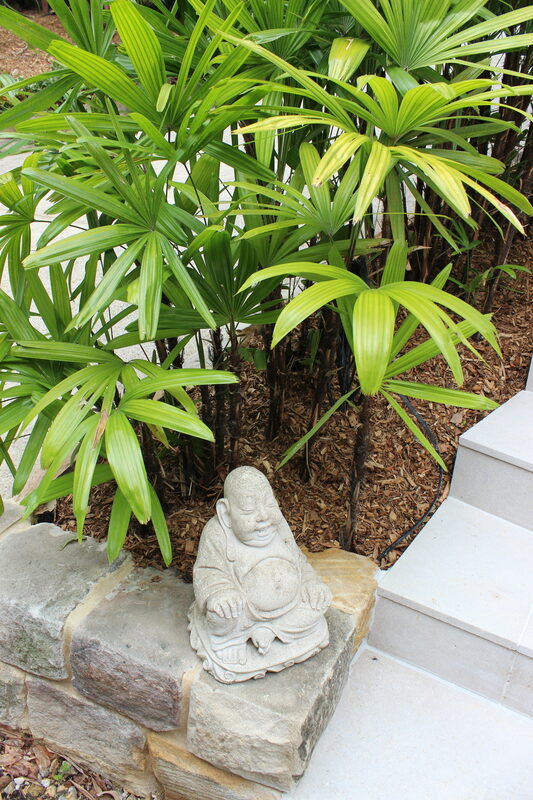 A serene area for turtles and fish to roam free surrounded by bamboo and palms for shade.